The film OFFICE (WA LAI SEUNG JOOK BAN) two nights ago held its press conference in Shanghai. 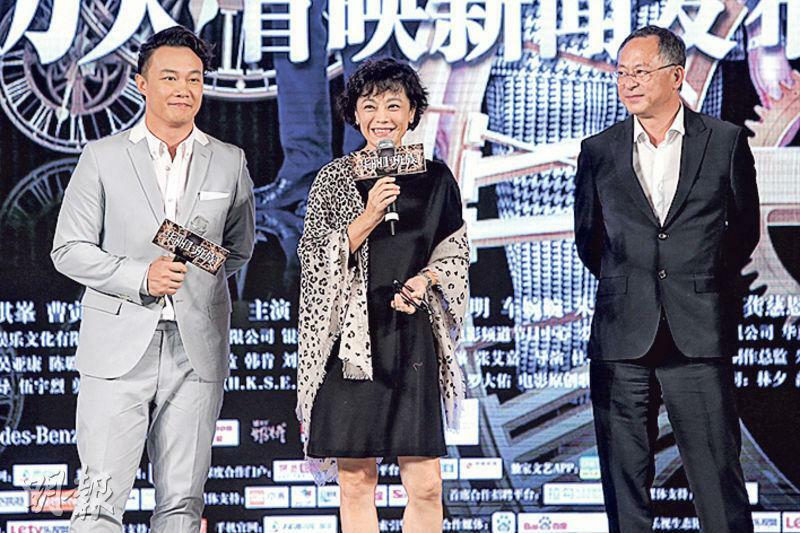 Sylvia Chang (Cheung Ngai Ga) revealed that when they shot the roof top struggle scene, Eason Chan Yik Shun nearly pushed her off. She said that the roof top was five stories tall and had no railing. She was in heels when Chan Yik Shun pulled her hard. Although she was on wires she was still afraid of being suddenly pushed off the building. Chan Yik Shun remembered in a stair run scene he had to sing while running, which was not easy at all.